Under the rear seats looks good...for now. Hung the right side fender and stuck a black 'NISSAN' on the door. It's looking better. Will get some pics soon. 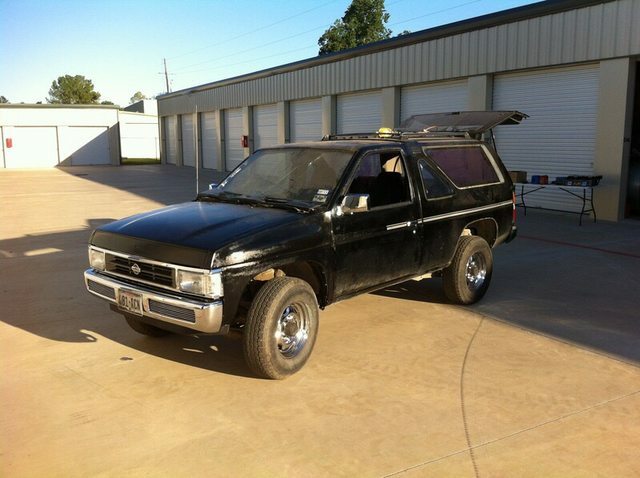 So new plan, I am removing the body from this Pathfinder and I am going to put a Hardbody cab on this Pathfinder frame. I'm going to do a 3 inch body lift and a 5-speed swap. Always thought about doing this. Would be rather cool to have a factory coil sprung rear end to tool around in. Ive seen a few Pathfinders with the sealed beam style headlights. Doesnt look bad at all. 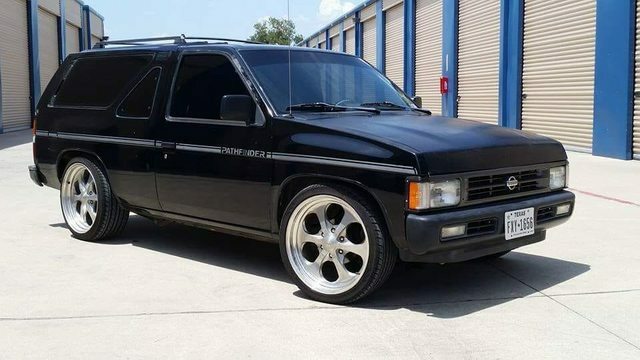 When I had my '89, I put a 93-97 bubble hood, a chrome 95 Pathy grille and corners, 96-97 chrome front bumper and then used the original valance. I may have a big donation box for you at some point david. heres my old 89. Wish I still had it. If mine were a 2 door i would not be doing this. The complete wire harness has been removed. Pathfinders have twice the wiring since they have things like rear door switches, amplifiers for the rear speakers, the rear hatch and all. I am going to have to go through this thing and cut out what I don't need. Truck idea is to trick the hardbody cab into thinking it's a pathfinder. Shouldn't be too tough. Lots of hours into this project yesterday.